Unisex adult knee pants for free time (for men and women). Cut and sewn. Two-colour. Elasticated waistband with draw string. The perfect garment for your free time. Available in 4 different colours. Normal fit. The Lizard knee pants for men by Erreà have been specially designed to use in your free time, for going on walks or for your relaxing moments. 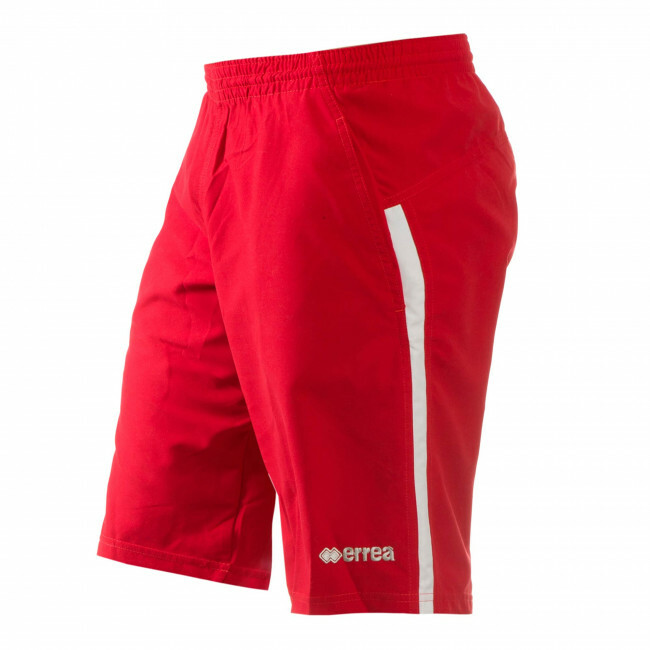 They are made of a lightweight and modern fabric that provides enhanced flexibility and comfort at all times. Adjustable thanks to the elasticated waistband and the draw string, they also include two practical side pockets to hold your most valuable belongings. To provide you with an optimal fit, these knee pants feature a shaped cut at the back. They are particularly suitable for the spring and the summer and are the perfect match for Erreà's Darwin or Forster jerseys.